The church is in a very rural area so the only real way to get there is using an OS Map and the OS Map Ref. 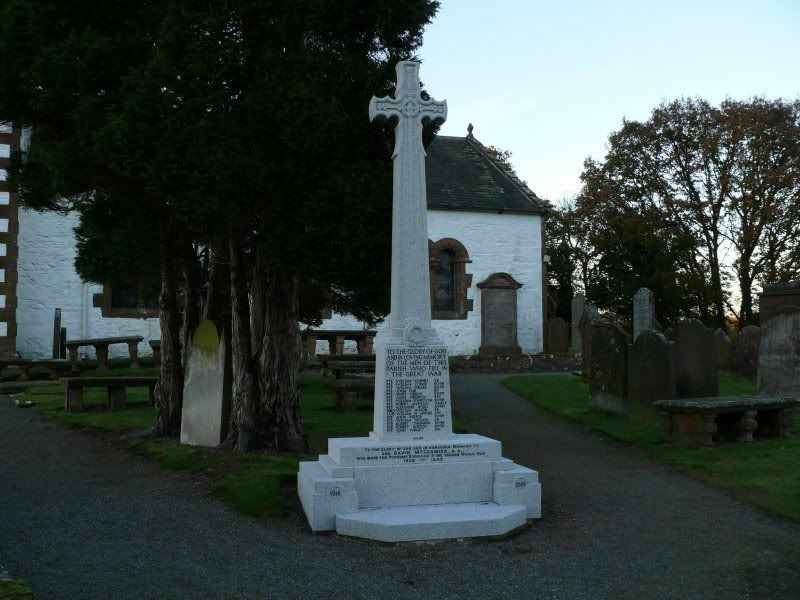 The photo of church and memorial may give you some idea what to look for when nearing the churchyard. 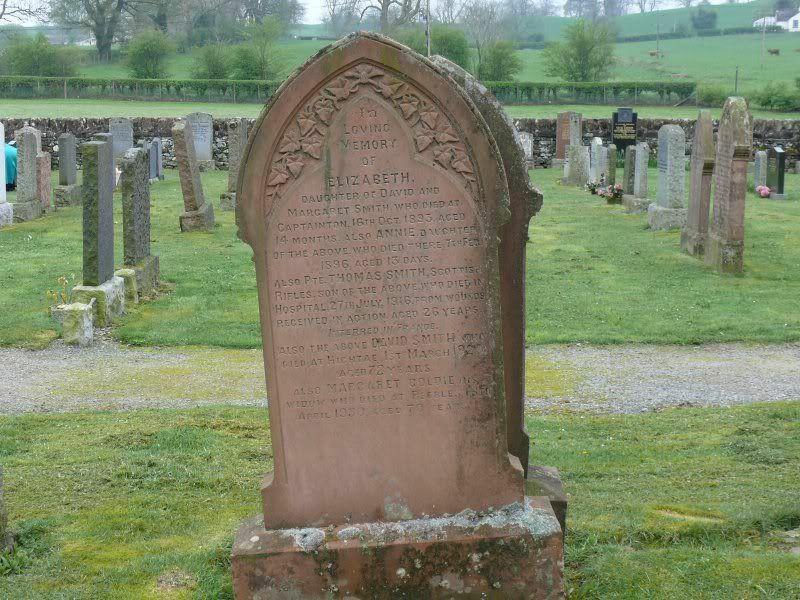 Additional information: Son of David and Margaret Smith, of Townhead, Hightae, Lockerbie. Grave/Memorial Reference: IV. A. 20. 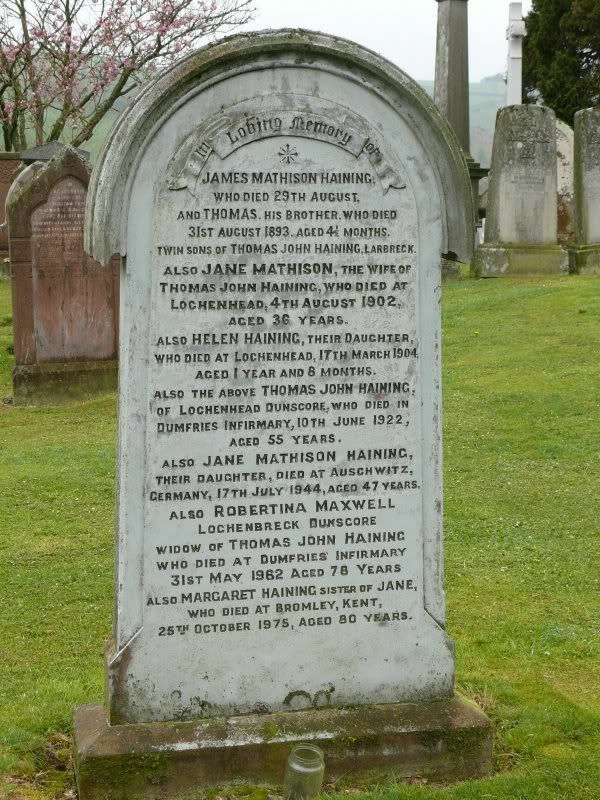 This gravestone remembers Jane Haining who died in Auchwitz and is commemorated on several memorials in Dumfries and Galloway and elsewhere, including http://warmemscot.s4.bizhat.com/viewtopic.php?t=684&mforum=warmemscot and http://warmemscot.s4.bizhat.com/viewtopic.php?t=986&mforum=warmemscot. The latter memorial incorporates a photograph of her. It is a story well worth looking into if you have the time. I understand that she is also a distant relative of 'the boss' of this forum, David McNay. She is not listed on CWGC or SNWM.